Attractions offered in Magic Mountain’s initial ride line-up included the Chevron Grand Prix, sponsored by Standard Oil of California. The Arrow Development, guide-limited miniature autos featured 40 custom-painted cars powered by a seven-horsepower gasoline engine. Grownups and children enjoyed driving the competition Group-7-type mini sports cars through the beautifully landscaped 1,700-foot-long track. The Chevron Gran Prix operated with gas-powered-cars through the 1985 season. In 1986 the cars were replaced with electric cars from D.H. Morgan Manufacturing. 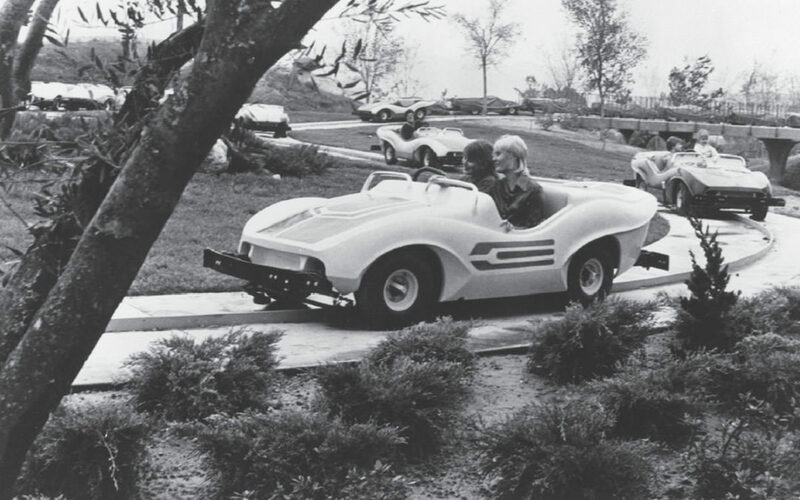 In 1988 the cars were moved across the park to Bugs Bunny’s World where it operated as Granny’s Gran Prix. 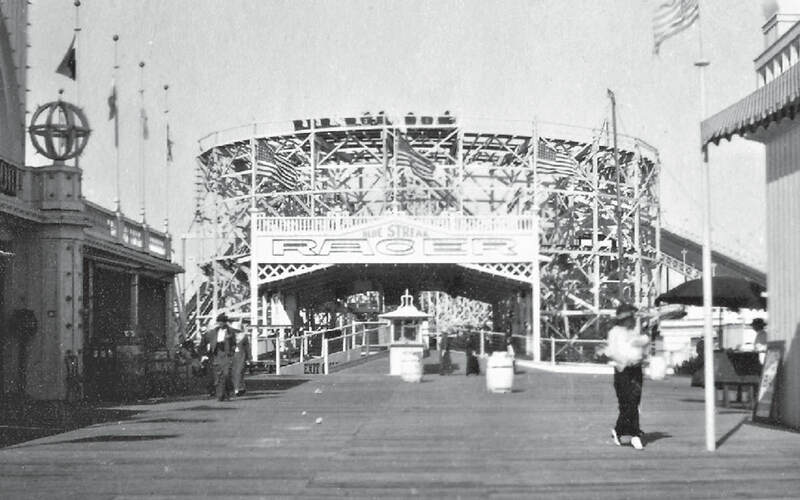 Wonderland, the first amusement park in San Diego, California, opened outside the city in Ocean Beach, on July 4, 1913. The welcomed new park had a little bit of everything, including a zoological garden, chutes, carousel, swimming pool and the area’s first roller coaster, the Blue Streak Racer. Over $372,000 has been raised towards our goal of $500,000! 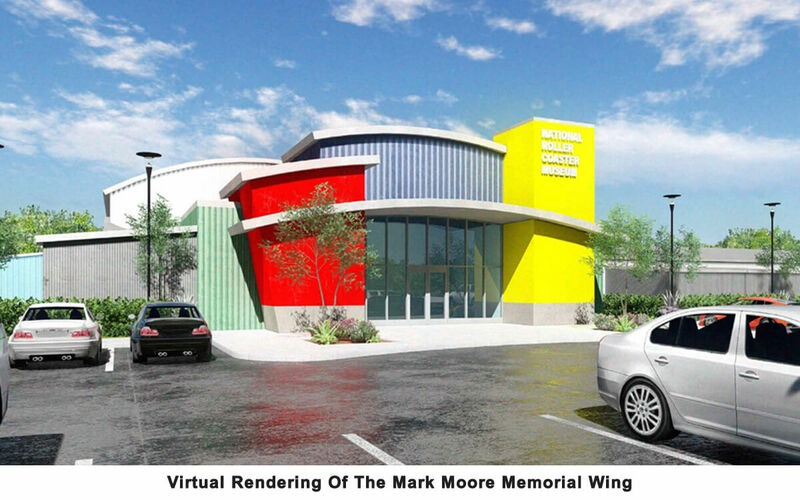 Donations are still needed from industry suppliers, parks and individuals. AmazonSmile is a website operated by Amazon with the same products, prices, and shopping features as Amazon.com. The difference is that when you shop on AmazonSmile, the AmazonSmile Foundation will donate 0.5% of the purchase price of eligible products to the charitable organization of your choice, which includes NRCMA. NRCMA is a 501c3 non-profit organization. You can send donations to the following.